The Trump administration may seek to undo the “backup camera law” that requires all new cars include a rear view camera by 2018. The National Highway Traffic Safety Administration (NHTSA) recently told congress it is reviewing regulations on automotive cameras and mirrors, reported Bloomberg. But NHTSA did not reveal whether it will repeal the regulations or just alter them. The backup camera law, called the Cameron Gulbransen Kids Transportation Safety Act, was passed by Congress in 2008 requiring NHTSA to mandate that all new cars include backup cameras. NHTSA finally issued a final ruling in 2014, stating all cars sold in the US must include a backup camera by May 2018. Currently 75 percent of car models include backup cameras as standard equipment or an option. But as many consumers don’t actually purchase the camera option, the true percentage of vehicles sold with cameras presently is closer to 50 percent, said Steve Witt, head of American Road Products, which makes backup sensors and cameras. 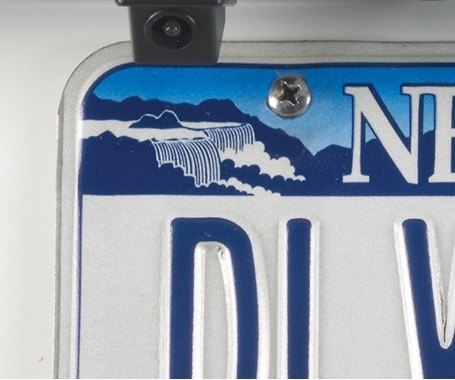 Regardless of NHTSA’s actions, the backup camera law has already raised consumer awareness about rear view cameras and so will continue to benefit the aftermarket, said suppliers. Prior to the law, consumers viewed a backup camera as a luxury item, while today they see it as a necessary safety tool, Witt said. There are about 250 deaths a year from back over incidents, said Fennell. The deaths are particularly tragic as they often involve a family member who backs over a child. Jeff Varick of camera supplier Brandmotion, said, if anything, the aftermarket would be positively affected by a rollback of the law,”The consumer now expects a car to have a backup camera,” he said. But he notes that cars are designed 4 years in advance and so car companies have already designed in backup cameras in anticipation of the law taking full effect a year from now. NHTSA is also looking into rolling back regulations on car mirrors, noise requirements in hybrid and electric vehicles, electronic stability controls for heavy trucks and a rule allowing car dealers to install switches to deactivate airbags in cars. In a great blog on the subject, Roger Lanctot of Strategy Analytics said while the roll back of rules on cameras would detract from safety, the rollback of rules on mirrors makes sense. Today we can employ side cameras instead of side mirrors and these camera can send an image to a monitor within view of the driver to eliminate blind spots. But arcane regulations on car mirrors is preventing this technological step forward. NHTSA’s drive to reduce regulations might also hamper the move to deploy vehicle-to-vehicle (V2V) technology in new cars. See the full Lanctot blog here. See the Bloomberg report on NHTSA here. I for one am TRULY tired of people insisting on living out the predictable results of poor decision making and preventable failures when there’re clear, more reasonable solutions available before anything happens. Outcomes based on history are among the easiest to predict, history such as mandate-side backup sensors/cameras or OEM CarPlay advertising being the main driver of aftermarket growth in those products. V2V regulations have been being worked on for years between regulators and industry, creating legal framework backbones for markets to develop in. Simply tossing all that aside not only squanders the investments made but if it delays the initial deployments of the tech it will also delay our industry’s ability to capitalize thoroughly on the market. I for one am TRULY tired of hearing the blame put on the President prior to any action having taken place. Stop jumping to conclusions before anything happens. Let’s see what the outcome is before making ignorant comments. That will be good for aftermarket for sure! People will still have backup cameras installed. This is good for the 12v retailer! If we put aside the impact it has on our industry and the safety concern….. and simply ask, where does it end? Will the government then specify the field of view the camera must have BY LAW? Will they specify the resolution the camera must have BY LAW? Will they specify the display size that’s required BY LAW? And 15 years after this is standard, will everybody think that’s maybe not enough and require heartbeat monitor detection when in reverse? Yeah, I’m being a little silly, but…..am I? Wow, what a typical knee jerk liberal response! Wow, how many innocent children will die over Trump’s ignorance !